PORTSMOUTH — 3S Artspace announces the upcoming exhibit in the Gallery at 3S Artspace: Wayfaring Stranger, On the Way to Lost and Found, works by art students and alumni of the University of New Hampshire. The exhibit opens Feb. 1 with an artists’ opening reception held the same day, from 5-8 p.m. Wayfaring Stranger, On the Way to Lost and Found will be on exhibit through Feb. 24. Exhibits at 3S Artspace are free and open to the public. During the fall 2018 semester at University of New Hampshire, A Field Guide to Getting Lost by Rebecca Solnit was a community read and artistic response project for the Art Department. The work in this exhibition reflects Solnit's multitude of approaches to the theme of getting lost. UNH students and alumni responded by creating paintings, drawings, photographs, sculpture, animated GIFS, and furniture. The artists' interpretations of this theme include: exploring unknown territory, examining what is viewed as the familiar, reinterpreting art history, and focusing on the process of making art as an act of getting lost. As an additional component, students from the English department at UNH will write pieces in response to the book as well as the exhibition itself. The exhibit was coordinated at UNH by Sachiko Akiyama-- sculptor, Portsmouth resident, and professor of art at UNH. She was also recently awarded the Artist Advancement Grant from the New Hampshire Charitable Foundation. Building on the Wayfaring Stranger exhibit, 3S Artspace and the Portsmouth Public Library invite Portsmouth residents to participate in a Community Read and Community Art project. During the month of January, participants are asked to read Rebecca Solnit’s A Field Guide to Getting Lost and respond through creation of 2D artwork. Art submitted by community members will be curated by the 3S Gallery Committee and put on display in the Lobby Gallery at 3S Artspace beginning on Feb. 1, coinciding with the opening reception for Wayfaring Stranger, On the Way to Lost and Found. “We think the Portsmouth Community Read and Community Art is a chance to build on the Wayfaring Stranger exhibit and unite Portsmouth residents with the art community on the UNH campus through a common thread,” said Beth Falconer, executive director of 3S Artspace. Through this project, visitors to 3S have the unique opportunity to witness two exhibitions stemming from the same inspiration point: A Field Guide to Getting Lost. Opening Artists’ Reception for Wayfaring Stranger: Friday, Feb. 1, from 5-8 p.m. Free and open to the public. 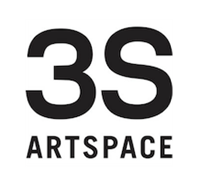 3S Artspace is a 501 © 3 non-profit arts organization dedicated to presenting and supporting bold, emerging arts and entertainment and to cultivating an informal space that celebrates curiosity, creativity, and community. The Gallery at 3S Artspace is an incubator of ideas, facilitator of original content, and is committed to presenting a diverse representation of contemporary visual artists. Each year the gallery presents exhibitions that highlight unprecedented innovation across disciplines, celebrate artistic excellence, encourage lively discourse, and foster an unwavering appreciation for the vital role that art plays in our community.